Google Analytics is a free web analytics tool offered by Google to track and analyze your website traffics. It is now the most widely used web analytics service on the Internet. If you are like me, having trouble to locate the link to add a new website in Google Analytics, then the following tutorials will be useful for you. Once you've logged on to your account, click on the Admin link on the top. Under the Admin page, click on the arrow down combo box under the Account, and select Create New Account. 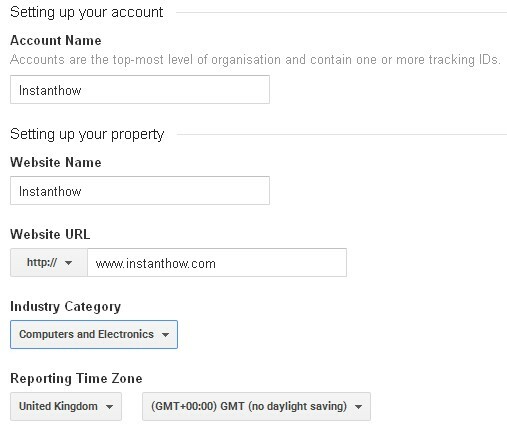 Enter the account name, website name, website url, industry category, and also the reporting Time Zone.